We’ve recently noticed something has been going on in Sydney on the weekends. Early on in the days, people are disappearing from their homes only to return hours later, smelling of Champagne with a hint of what we detect to be brunch. Could it be that Sydney has finally followed in the footsteps of New York, or Frances L’aperitif? We believe so. 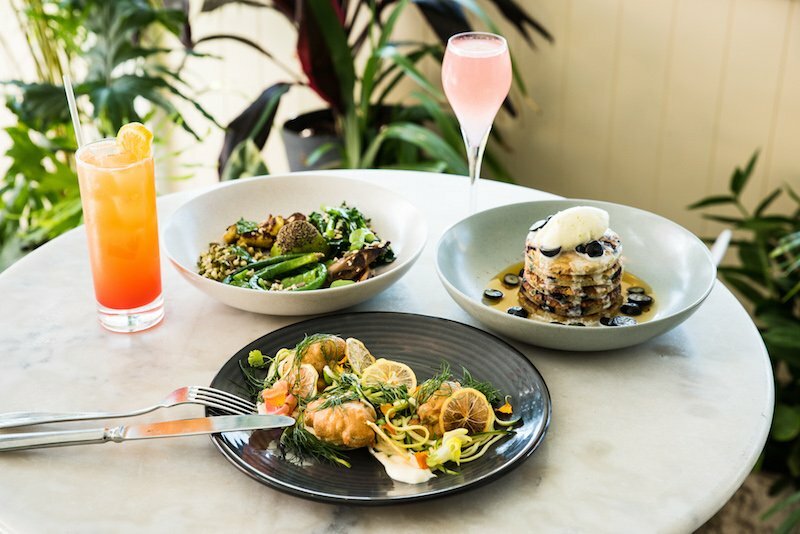 The time has arrived that we share with you all… Boozy Brunches have hit Sydney, so here they are to try for yourself. 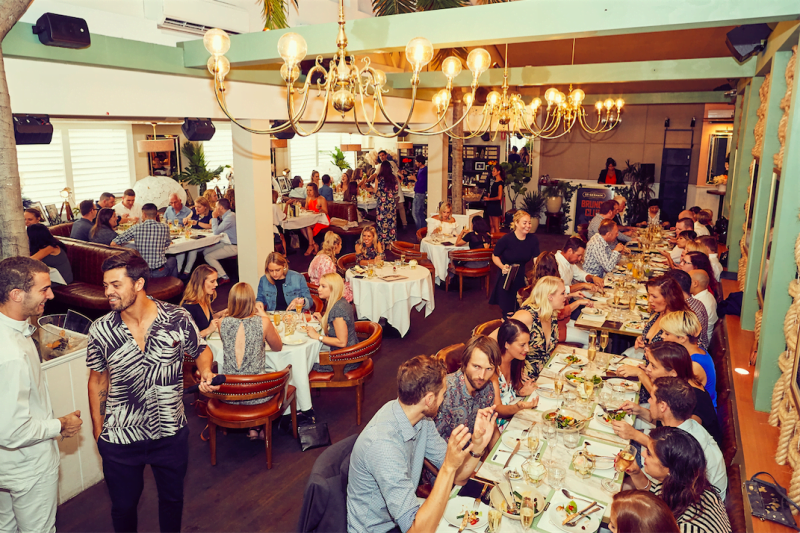 Each Saturday, the Darlo Country Club opens its doors, commencing the weekend with Sydney’s secret favourite past time – a boozy brunch. Darlo Country Club offer a set brunch menu which comes with a Bellini for $65. Take it to the next level with a bottomless flow of Chandon NV for $85 or Möet Chandon for $105. The set menu includes a granola fruit cup, house cured salmon gravlax and eggs shaksuka to name a few dishes. Bringing some variety (and a few more calories) to this boozy brunch, is a bread basket with smoking gun bagels, pan roasted chicken salad and Nutella French toast to finish. For a special time only, once a month, the Darlo Country Club is also transforming into a 1920s Parisian elderflower affair! Partnering with St Germain, Darlo Country Club offers up a whole new brunch scene. Spoon some granola from an elderflower yogurt pot and spread your croissant with rhubarb and elderflower jam. Brunch packages range from $65-$105 including a 6 course set menu with a St-Germain Spritz. 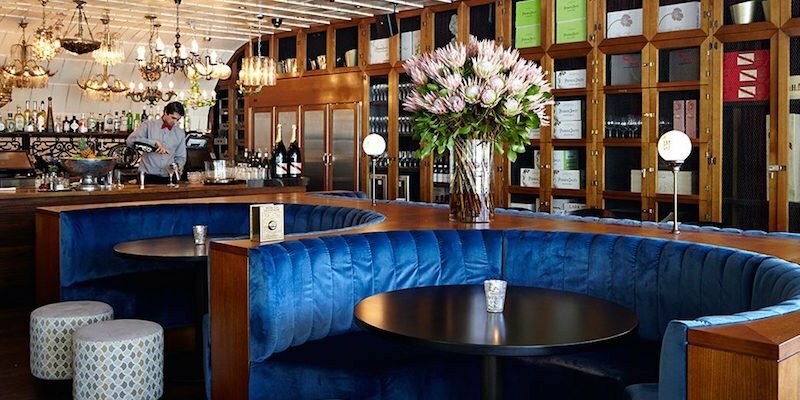 There are further St-Germain and Champagne beverage packages on offer. L’aperitif like the French with live entertainment and DJs for a 1920s boozy brunch soirée. Jump on the website to suss out exactly when the next St-Germain Brunch Club will be. Book tickets and check out the full menu online here. Get a little taste of New York on your Saturday mornings at The Royal Hotel Paddington with their decadent brunch and bottomless bellinis. This iconic pub is well known for its rooftop and stunning heritage features so beware you may just have a hard time dragging yourself away! Book your spot on the Verandah Level from 11am – 1pm every Saturday. On the menu, you’ll find fruit, fluffy pastries, baked eggs and smoked salmon with sourdough in a banquet style brunch. There are two brunch options to choose from: $65 per person with a bellini on arrival OR $75 per person with bottomless bellinis. Bookings are essential and highly recommended as sittings often book out.To book, click here. 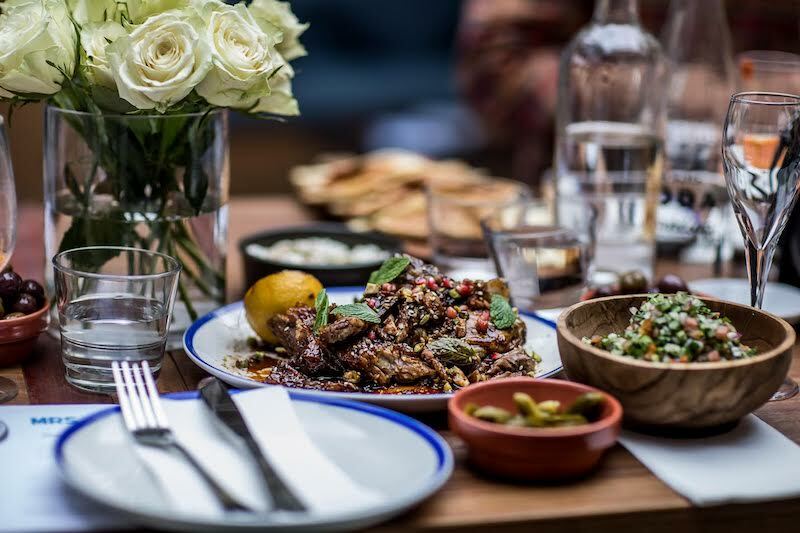 Situated inside The Old Clare Hotel, Kensington Street Social has now launched a summer bottomless brunch menu. It includes either a two or three course menu accompanied with your choice of rosé, sparkling wine or Champagne. The menu offers a selection of seafood and meat options, with highlights including alpine salmon with coddled egg, kombu and wagyu steak. A 2-course bottomless sparkling brunch costs $68, whilst a 3-course bottomless sparkling wine brunch is $78. 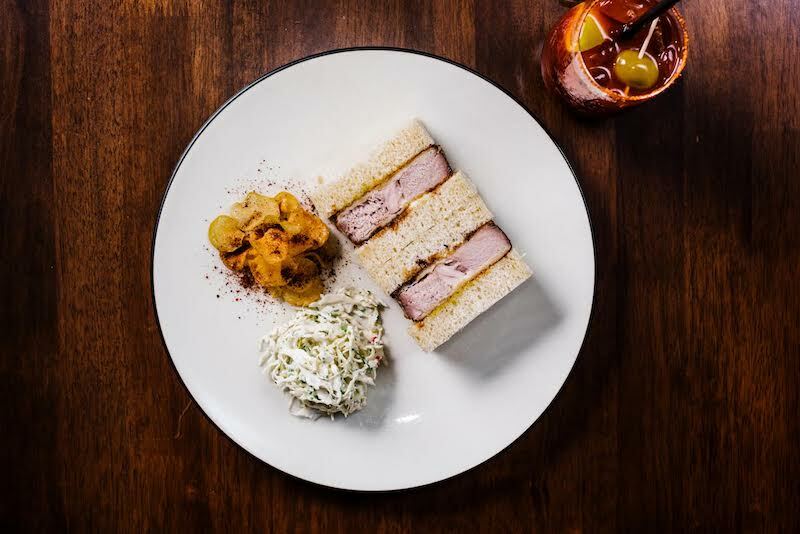 Bottomless brunch at Kensington Street Social is served Saturday and Sunday from 11:30am to 3:30pm, running for 2 hours from the time of commencement. View menu here. A bar and restaurant by day, home to a unique East-Asian inspired brunch menu on the weekend. Paper Bird in Potts Point is open every Saturday and Sunday from 10am – 3pm with a menu influenced by Korea, China and Japan. You won’t find your standard bacon and eggs at this restaurant. Instead think a thick pork katsu sandwich, pipis with miso butter and rye toast, XO arancini and Crab wontons with chilli and black vinegar. The food menu is designed to share but you’ll want to keep the cocktails all to yourself. The spicy Korean Bloody Mary and Campari Iced Filter are both great choices. They also have a strong list of nature wines, sake and craft beer. In the cooler months bunker down inside the dimly lit 60 seater restaurant. On a sunny day vie for one of the coveted outdoor tables. Paper Bird, 46a Macleay St Potts Point NSW, 02 9326 9399. Sat Brunch, 10am – 3pm | All-day menu, 3pm – late, Sunday: Brunch, 10am – 3pm, More info. 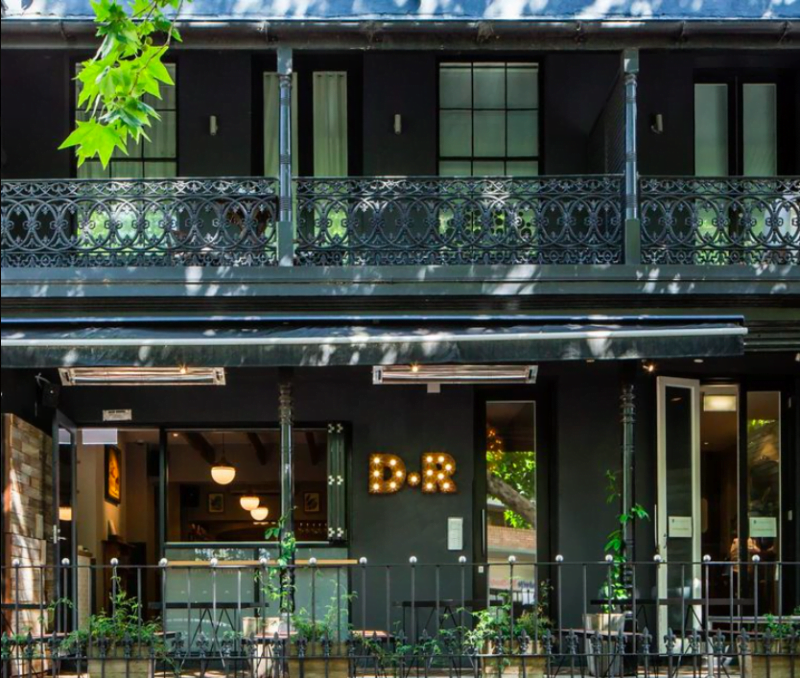 Darlinghurst’s beloved rooftop bar East Village are now open for brunch, dishing up an extensive menu and Bloody Mary buffet! Open from 11am-2pm on Saturday and Sunday for brunch, you can expect everything from blueberry pancakes to sloppy joe brekkie rolls plus vegan friendly green nourish bowls. 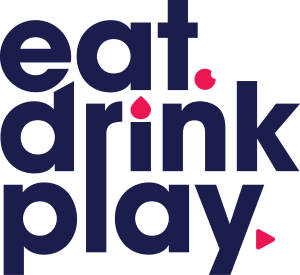 Fronting the new boozy brunch experience is a Bloody Mary Buffet, allowing punters to get hands on with a DIY garnish station, letting you choose from an array of sauces, juices and toppings. Also on the drinks menu is a watermelon mimosa and rotating flavoured espresso martini including chai, coconut & salted caramel. 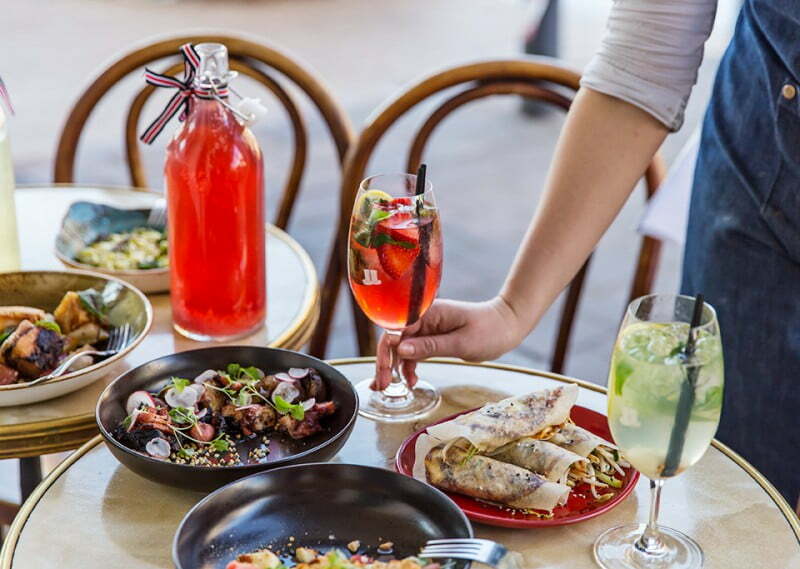 The recently renovated Port at Darling Harbour is now offering a Sunday boozy brunch! Running on the last Sunday of every month from 11am – 1pm, you get to choose between two packages. 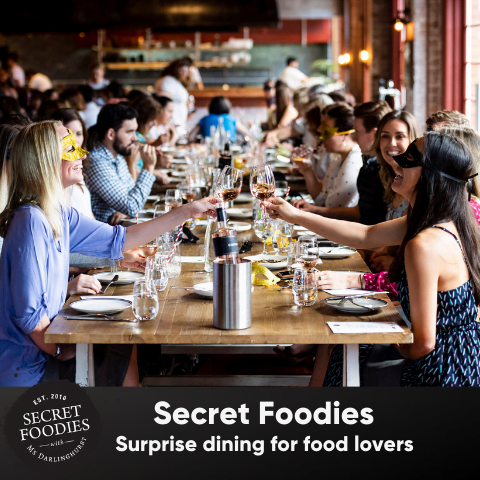 There’s either the scrumptious set menu and bottomless bellinis package for $65pp or you can take things up a notch with the set menu and bottomless Mumm Champagne for $90pp. For more info click here. 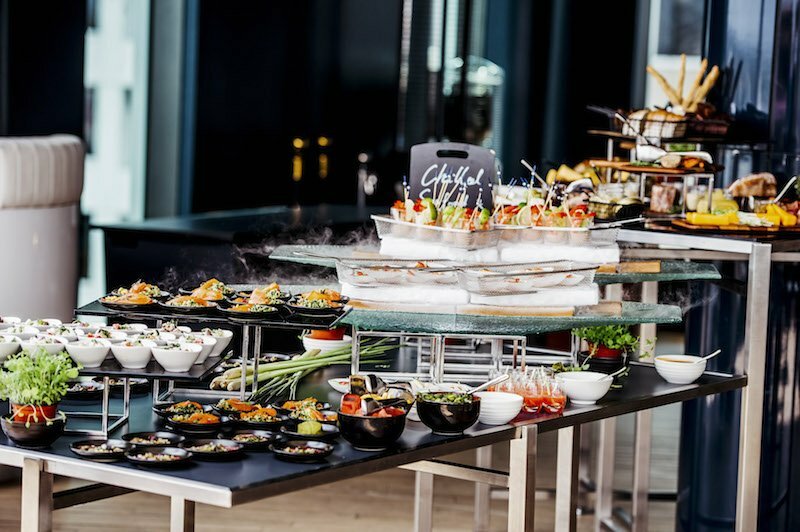 Hyatt Regency Sydney has just added the Zephyr Sunday Brunch! Each Sunday from 11:30am until 2pm, enjoy a carefully curated menu for $88 per person. 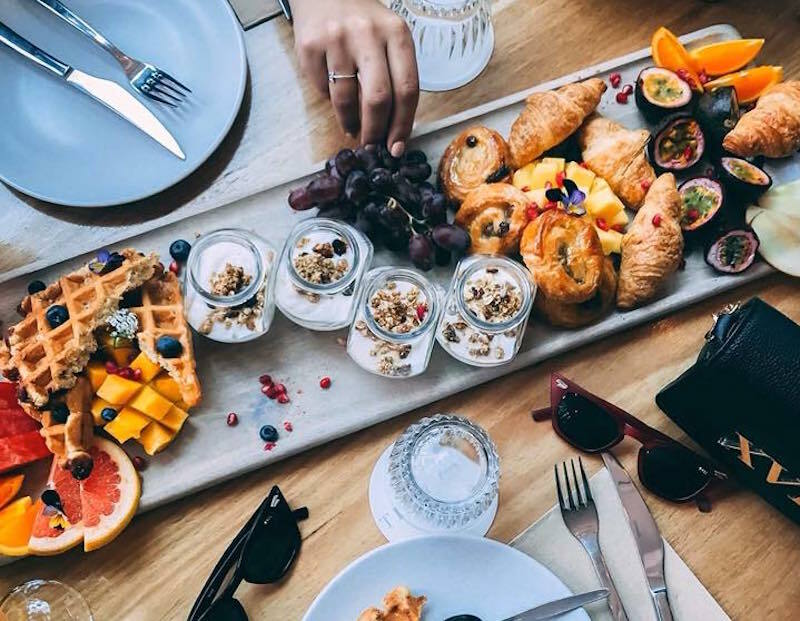 On the menu is yoghurt and granola to start, followed by artesian breads, chilled seafood, sashimi, cured meats and Australian cheeses and a choice of poached eggs or French toast. 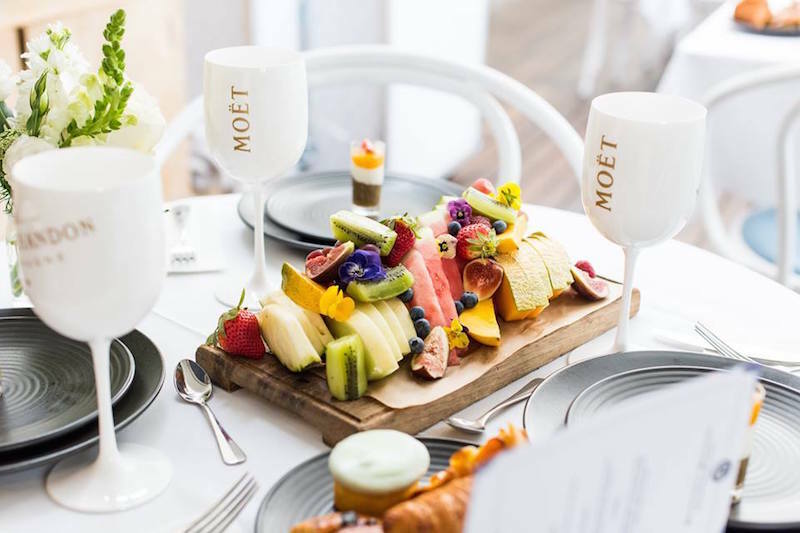 To finish off your meal, feast on a selection of decadent desserts and a glass of Moët & Chandon Rosé Impérial. Those looking to enjoy more than a glass of bubbles can choose from a selection of cocktails or alternatively, enjoy more Champagne! Adding a European twist to their brunch offering, Mrs Sippy’s Mediterranean inspired brunch menu is available every weekend. Enjoy a 3-course shared feast while your glass stays topped up with free-flowing bubbles. $89pp includes shared feast, unlimited Chandon Brut NV for 2 hours plus a cocktail on arrival. Not drinking? The feast alone is $55 and drinks can be purchased as you go. 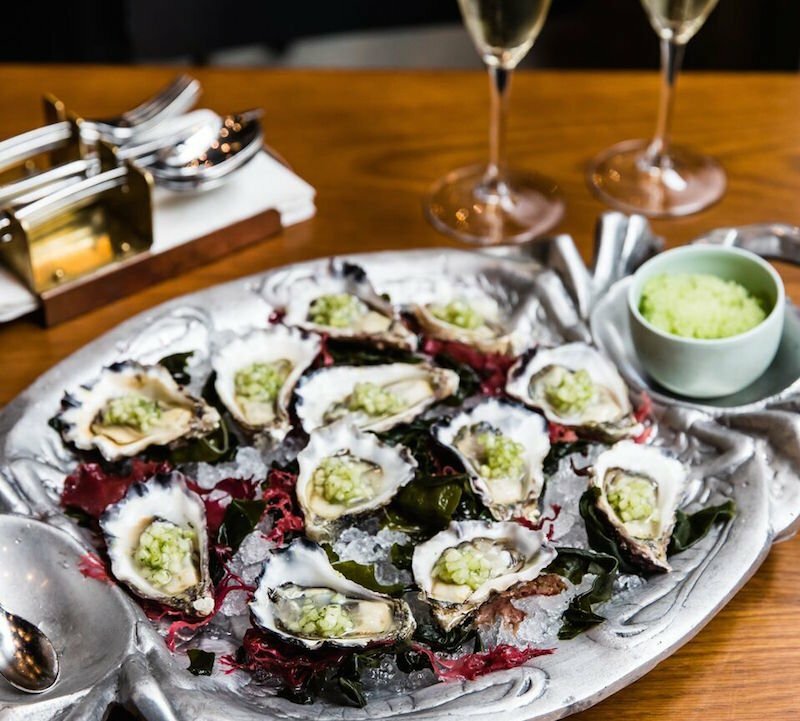 Start with Sydney rock oysters and croquettes before large share plates are brought to the table. Graze on grilled pita bread, slow cooked lamb, house-made hummus, beetroot tzatziki, labne and salads. Finish with greek yoghurt gelato, fresh berries, honey, nuts. Yum! 37 Bay Street, Double Bay NSW 2028, (02) 9362 3321 Saturday 11am-4pm. More info. 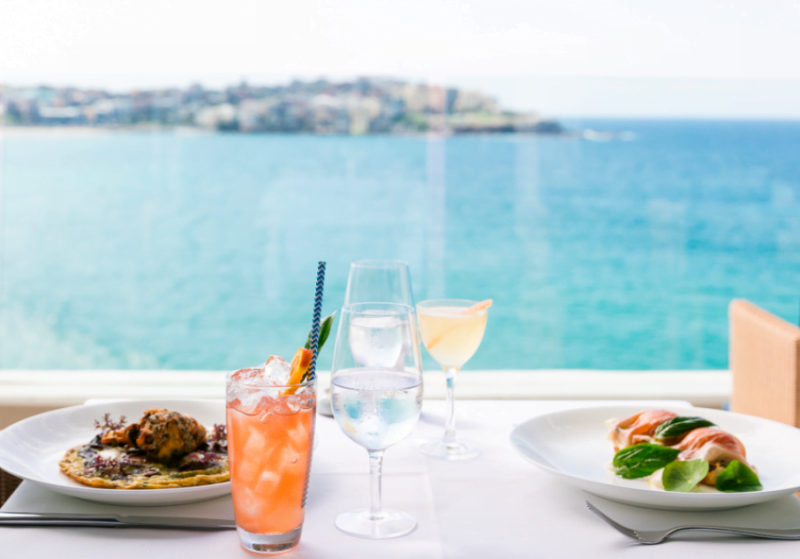 This iconic Bondi destination, famous among view seekers and foodies alike has added another attraction to the mix. After a busy week, Sunday’s are about sitting back, worry-free, drink in hand. From 10am-11.30am, let Icebergs host your Sunday boozy brunch day. With water views, food you did not have to cook, and a waiter that arrives to refill your empty glass, what more could you ask for? With three courses come three options at this Icebergs boozy brunch. Go alcohol free ($55), let the prosecco endlessly pour ($75), or go classy with Osetra Caviar and a glass of Champagne ($90). Start off with a selection of breads and pastries with whipped Pepe Saya butter. Follow on with some strawberry, rose meringue, frozen yoghurt and mascarpone. By the time the sparkling buzz hits, course three will arrive with your choice of smoked salmon Crème Fraiche or mushroom fried egg. If you were worried about how to get your Sunday morning caffeine kick, there is no need. The prices include a coffee/tea per person. More info. Dear Ringer have recently launched a boozy brunch menu available every Saturday and Sunday from 11am. It’s full of seafood, salads, house-made pastries, nodding occasionally to breakfast-esque options of omelettes, tarts and blood sausage. This 1.5 hour seating brunch affair can turn boozy with bottomless mimosas ($20). Before you even assume they’ll be using cheap drops, these mimosas are made using cold-pressed orange juice and King Valley prosecco with a dash of ‘secret’ seasoning. Intrigued? Move beyond your usual brunching habits. There’s no smashed avocado or poached eggs for you here. Order the duck rillettes ($18) because who would expect that for brunch? Let the roasted lamb ribs ($22) settle last night’s revelries, while the blue mackerel ($30) leaves you free of guilt for skipping the gym. Other options include an omelette ($19) and tomato and ricotta tart ($20). Although the sweets look enticing (coffee mousse – $11), we’ve been instructed to choose another offer. Order the aptly named Mandatory ($19) cocktail for a mix of bourbon, cold drip, vanilla and spice. See how to do an un-brunch-like boozy brunch with this menu. Every Saturday and Sunday, the Champagne Room is mastering the long lunch with 3 hours of bottomless bellinis matched with 3 courses for $79pp. On the menu is a selection of cheese and salumi boards, served with grissini, kiss peppers, basil, fig chutney, fruit lavosh, spelt toast. It’s from there that you’ll enjoy Porcini arancini, aioli and lemon paired with chickpea dip served with pita bread. Finish your meal on a particularly sweet note with a Champagne spider made with gelato and chocolate truffles. To make a Bottomless Bellinis Long Ladies Lunch booking, please call 8322 2007.